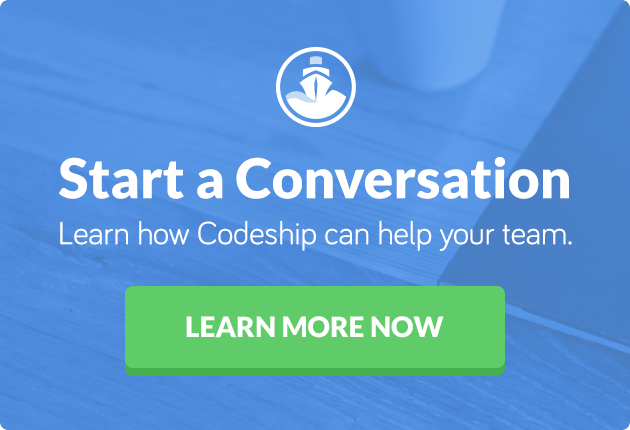 This article was originally published on Pat Shaughnessy’s personal blog, and with his kind permission, we are sharing it here for Codeship readers. Keep your data in the database, not for security reasons, but to avoid performance mistakes. Often the best way to speed up your application is to let your database server do what it was designed to do: operate on data. Most modern programming languages and frameworks hide databases behind an elegant, beautiful layer of abstraction. Developers today don’t need to write or even understand Structured Query Language (SQL), the native language of database servers. We view SQL as a low-level, technical relic of 1970s Computer Science, best left behind in academic journals and college classrooms. However, not learning and thoroughly understanding SQL would be a tremendous mistake. In fact, many data related performance problems are a result of using a high level language, such as Ruby or Python, to work with data instead of SQL. Keep your data where it belongs… in the database. Use your database server to operate on your data in place, and then fetch the result your application actually needs. Let me show you what I mean with a simple example. The problem with this approach is that it doesn’t scale. Suppose this post has hundreds or even thousands of comments; in this case, ActiveRecord will convert them all into Ruby objects just so I can iterate through them in the latest_comment method. My mistake was to let my data out of the database. Instead, I should have asked the database do the work for me. On the right, I start with all of the comments in the database, tens of thousands of them let’s say. Next, I need to search for the comments associated with my post, filtering on the post_id column. This yields a subset, hundreds of comments for example. Finally, I sort these filtered comments and take the last one, yielding the latest one on the left. To transmit all of these records, the database needs to serialize them to some binary format, which my Ruby code (or my DB driver actually) later needs to unpack. Finally, ActiveRecord has to convert this binary data into Ruby objects. This process takes time; in particular, creating hundreds or thousands of Ruby objects involves allocating a series of memory structures and placing them into a large array. Using a process called “garbage collection,” Ruby might even have to find and recycle older unused Ruby objects to hold the comments, which would take even more time. The solution is obvious: perform the search inside the database and only return the latest comment. But how do I ask my database server to search for the latest comment? By using ActiveRecord methods such as where, order and first to describe what I want, instead of writing my own code in Ruby. Now highly optimized C code, running on the same server that holds the comments table data, filters the comments by post, and sorts the matches by timestamp. This code has been used and tested by millions of developers around the world for years; don’t try to reinvent the wheel by rewriting the sort yourself using Ruby. Suppose in my user interface I always show the author of the latest comment next to each post. Now to display my page, I need to perform this comment search over and over again for every post. One way to avoid the comment query altogether would be to cache the latest comment’s author right inside the posts table. That way I’ll get the latest comment’s author automatically when I load the posts. No need for repeated searches, or any queries on the comments table at all! In practice, if I’ve remembered to create indexes on the post_id and updated_at columns, the comment search SQL above will run very quickly, even if I execute it many times. I could even load the latest comments for all the posts using single SQL query, but for the sake of argument today, let’s explore a caching solution anyway. Of course, I forgot something important. Using update_attribute I save the author for any new comments, but what about all of the existing comments? How do I set this column’s initial value for all the comments already in my database? Because you write migrations in Ruby, ActiveRecord makes it simple to perform complex transformations in a simple, elegant way. Using Ruby I get all the posts, iterate over each one, lookup the latest comment for that post, and update the latest comment author field. 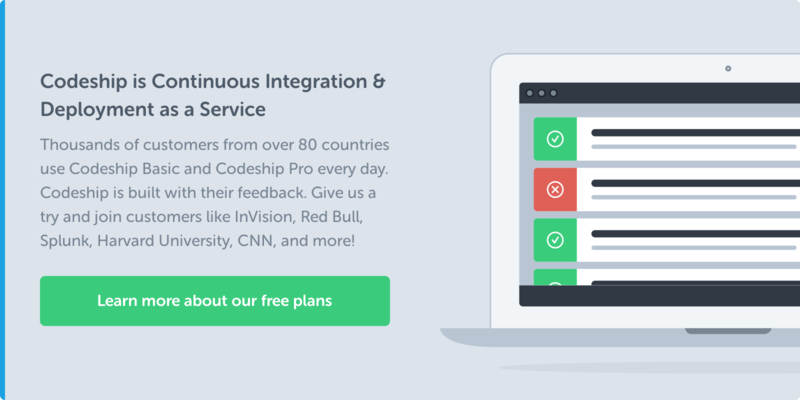 ActiveRecord makes it simple to perform complex transformations in a simple, elegant way. Just like my previous code, this migration will perform poorly. If I have just a few posts it probably doesn’t matter. But imagine if there are thousands or even 100,000s of post records: This migration might take minutes or even hours to complete! My database server and Ruby need to serialize, transmit and deserialize data for each one of these SQL commands. The solution is the same as before: Don’t let your data out of the database. Instead of writing Ruby code to update each post record, ask the database server to do it. My database server already has all my post data in an optimized format, likely loaded into memory. It can iterate over the posts and update them very quickly. Instead of writing code to update each post record, ask the database server to do it. But how? How do I ask the database server to update all the posts? I need to speak the database’s language: SQL. By writing SQL directly, I can be sure the database is doing exactly what I want, that it’s using the most efficient algorithm possible. I can be sure my database and I understand each other. This tiny SQL program actually uses SQL commands similar to the what I found repeated in my log file. But there’s an important difference: This SQL code doesn’t refer to hard coded post id values, such as 1 or 2. Here I’ve updated all of the posts with a single command! Using a SQL migration, my Ruby code sends a single SQL command to the database server, which is transmitted over the network to the database. Then, on the right, my database server performs the same iteration over the posts table, selecting the latest comment for each one. This looks similar, but there’s a crucial difference: The iteration happens entirely inside the database server. No data needs to be packed, transmitted to the Ruby server and unpacked again. In fact, the C code performing the repeated SELECT statements has been compiled to native machine language and will run very quickly. Once it fetches the latest comment, it can directly update each post because the posts table is stored nearby on the same server’s hard drive, or even in memory. Why Does the SQL Code Iterate? You might wonder why I drew an iteration inside the database server above. After all, I sent the database a simple command containing 1 UPDATE statement and 1 SELECT statement. Why does my database need to execute the select over and over again? Notice the inner SELECT statement refers to posts.id, a value from the surrounding UPDATE statement. This requires the database server to iterate over all of the posts, executing the inner select for each row. I’ll leave it as an exercise for the reader to rewrite this using an UPDATE-FROM statement, a JOIN or even Postgres window functions, which would avoid the repeated SELECTs. However, remember if there are indexes on the columns in the comments table, the iteration selecting the latest comment for each post will be very fast. It will certainly be thousands of times faster than sending repeated SELECT and UPDATE SQL statements from your Ruby server over the network. Do You Need to Learn SQL? In reality I could have written this data migration using Ruby code. ActiveRecord provides a rich set of methods, even allowing for sophisticated queries employing subselects. And in the rare case when ActiveRecord can’t generate the SQL I need, I can always resort to using the underlying Arel Ruby library. In practice, it’s rare that you will actually need to write SQL code inside a Rails application. Then why learn SQL? You should learn SQL because it will give you tremendous insight into how database servers actually work. You’ll learn what database servers can really do, and what they can’t. You won’t try to reinvent the wheel when you already have a server that uses algorithms more powerful and sophisticated that any you could write. Use the database server for what it was designed to do: to solve your data problems. Whether you write SQL directly or use a tool like ActiveRecord to generate SQL automatically, perform the search, sort, or calculation you need right inside the database. Don’t let your data out of the database until you need to… until you have just the values your application really needs. Don’t let data out of the database until you have just the values your app really needs.